It seems that Kapur loves attending house parties; Ranbir and Aditya have been catching up with each other at bashes thrown by their common friends. In fact, the duo, who worked together in 'Yeh Jawaani Hai Deewani', has kept in touch all this while. 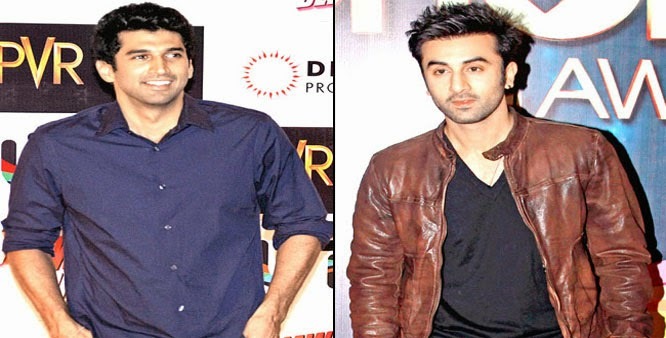 A source says that since both Ranbir and Aditya love football — they often play the game as well — it should not be surprising that they are now planning to attend FIFA matches in Brazil. FIFA 2014 will be held in the South American country from June 12 to July 13 this year. Both Ranbir Kapoor and Aditya Roy Kapur remained unavailable for comment.